Once upon a time the average bird on Earth was a rail. Before humans spread across the oceans of the world, wiping out huge numbers of endemic insular species, pretty much every decent sized island far from the continents had its own species of rail. There is something about the group that predisposes them to end up on far flung islands and having done so lose their ability to fly and thrive. Across the Pacific alone there were probably somewhere in the region of one thousand endemic species, accounting for one in twelve of all the bird species on Earth. Those days are sadly gone, and very few flightless species of rail survive. Those that do are generally rare and restricted to tiny islands. 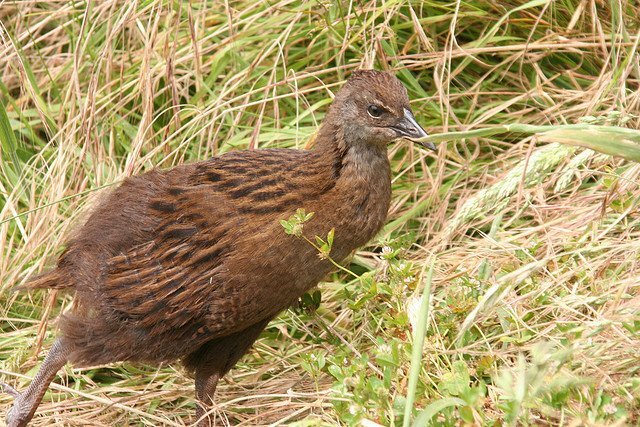 There are two exceptions, however, the Tasmanian Native-hen, which I won’t be showing you today, and the Weka, which I am. 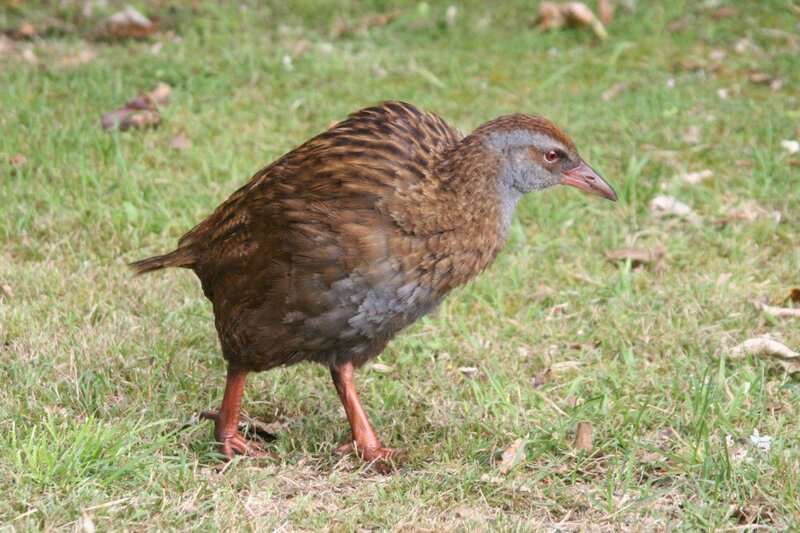 The Weka is not New Zealand’s largest surviving flightless rail, but unlike the Takahe it remains relatively common across parts of New Zealand, particularly areas of South Island. 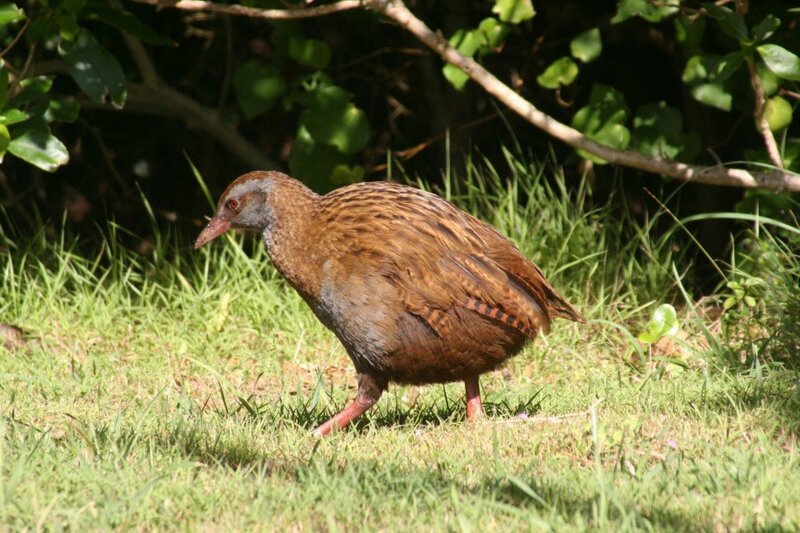 In fact I’ve seen them on the side of the road in Golden Bay at the northern tip of South Island, and they are even common (and noisy) yard birds in my flatmate’s partners place in Westland. 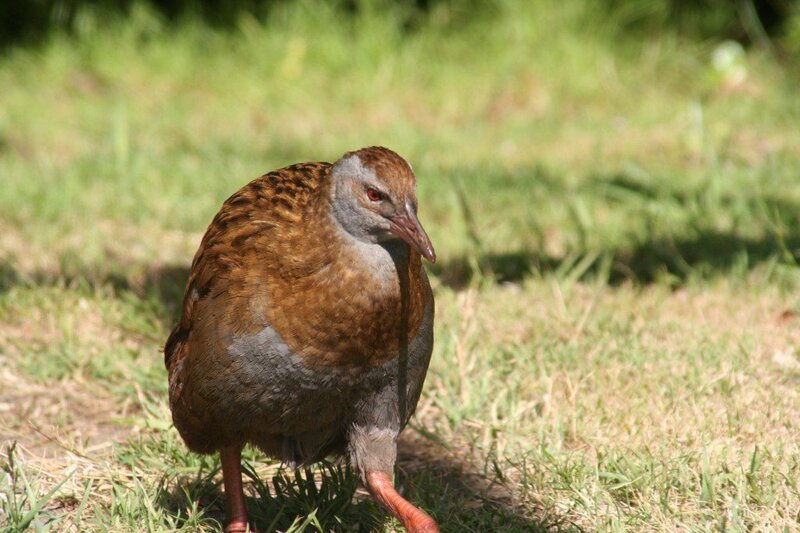 The closest encounters people have with Weka are on Kapiti Island, where generations of Weka have learnt that the regular procession of tourists and visitors to the island are a source of tasty snacks and meals. The days of handouts are officially over, but this hasn’t stopped the Weka; what isn’t freely given is instead taken. All the picnic spots are staked out by these wily birds, and they are surprisingly adept snatching a briefly laid down bite or rifling through a bag for an as yet uneaten morsel. I once had to chase one down that had taken an entire sandwich, plastic wrapper and all (not from me, mind, I was just worried about the plastic). 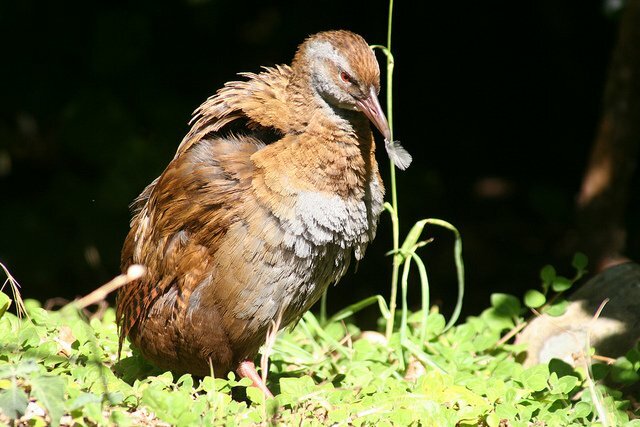 The Weka is a living reminder of the forces that once held sway across New Zealand, and land once dominated by bold, large ground living birds. While the future isn’t entirely certain (it has undergone some declines, and is considered vulnerable), it is more secure than many other species, a fact that please all that encounter it (except my flatmate and her partner, who would like them to keep the noise down a bit). Yeah, Weka! I hear they feed on stoats. 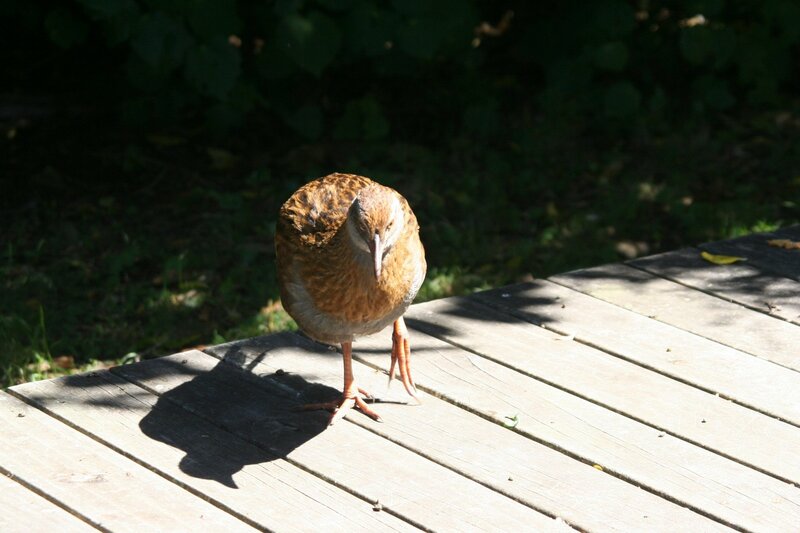 I’d love to have a chance to see a Weka. I’ve seen Tasmanian Native-Hens and those are impressive birds. Save the Whales! Kill Some Gulls?